If you have been a Visual Composer user for some time, you have witnessed some changes happening that might have been a little bit confusing. First, the Visual Composer Page Builder was renamed WP Bakery. Then, a new product called Visual Composer Website Builder was launched. We’ve noticed many of our users have been confused about these changes — they didn’t know if there was any difference between Visual Composer Website Builder and Visual Composer Page Builder. They were confused about WP Bakery: Is this a new product or just a rebranding? How about the Website builder? Is this a 2.0 or an entirely different thing? With that in mind, we wrote this post to clear up this misunderstanding and apologize for the unpleasant situation we created for our customers. We’re deeply sorry for the confusion created around Visual Composer. Even more than that, we are sorry for not dealing with this issue as soon as it became an issue. We wrote this post to finally come clean about the whole situation and explain what actually happened. You will soon see that it was quite a brain-twisting journey that led us onto this path. Things happened gradually, and the more we tried to “fix” problems along the way, the worse they got. It all started with the name change. The first logical question that comes to mind is Why did we decide to change the name in the first place? After all, you have probably seen the Visual Composer name on every major WordPress theme. Long story short, we didn’t have a choice. If you want to hear the whole story, you can watch the video or read it below. It all began with our new product, the Visual Composer Website Builder. And for the record, Visual Composer Website Builder is NOT the same thing as the Visual Composer Page Builder. The Page Builder was an Envato-exclusive product with a lifetime license. 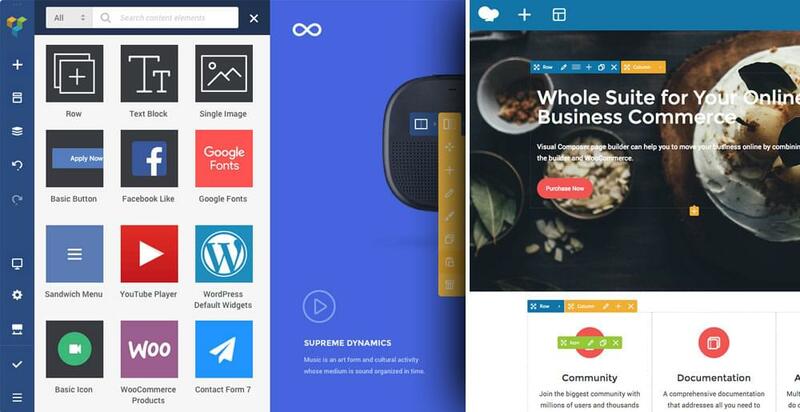 The Website Builder, our new plugin, was more complex and didn’t fit the lifetime license model. It was richer in features, built for a growing part of our users whose website building needs have rapidly evolved. It was meant to move away from the lifetime license model because the new React.js technical stack meant much higher development costs that could only be sustained with a yearly license model. The yearly license model also allowed us to keep in touch with our users and offer them high-quality support. However, there were some essential things we didn’t take into consideration when we came up with that plan. We overlooked one crucial detail that forced us into a difficult position. That was our contractual limitations with the marketplace that made it impossible for us to sell another product under the name of Visual Composer outside their platform. We could tone down our new product to fit the lifetime license model and put it up on the same marketplace as the Visual Composer Page Builder. We could change the name of the Visual Composer Page Builder. That was our only way to lift the contractual limitations we had with the marketplace that sells it. It was a very difficult decision to make and we knew it shouldn’t be taken lightly. After we thought about all the possibilities and options, we decided to change the name of the Visual Composer Page Builder to WP Bakery. And that’s how the Visual Composer Page Builder became WP Bakery. We were so swamped with work on the new product, we didn’t even realize what a massive confusion we had created for Visual Composer users. Not only was everybody confused about the name change from Visual Composer Page Builder to WP Bakery, but the users were also completely puzzled about our new product, Visual Composer Website Builder. They had no idea if this was a new product or just a rebranding of the old one. When we realized the mistake we made, we decided to walk you through the whole journey to help you understand how things went down and which product is which. Let’s start with our new product, Visual Composer Website Builder. The Visual Composer Website Builder is a live-preview editor with drag-and-drop features and it comes in two versions; the free version and the Premium version packed with the additional features. You can easily implement your vision with the hundreds of ready-to-use content elements while you play around with the drag-and-drop blocks and see the changes instantly. 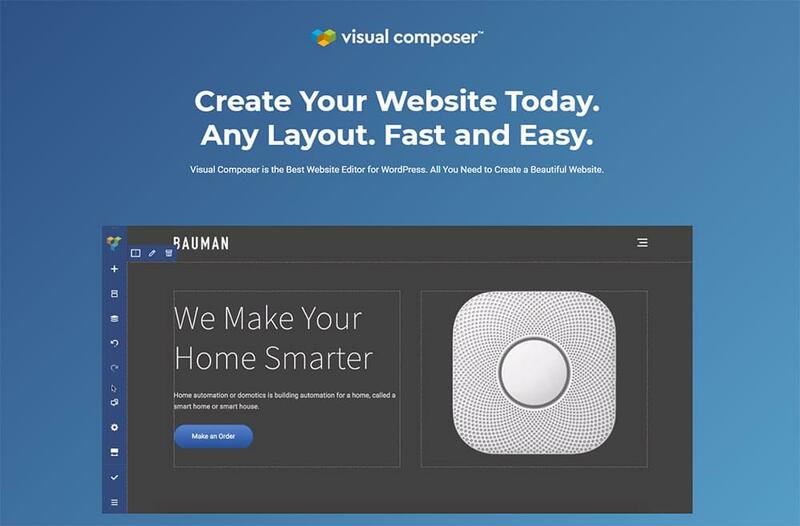 The Visual Composer Website Builder can be used with any theme; you can easily integrate it into your existing themes; you can choose from a number of cool WordPress templates for all kinds of pages including portfolios, corporate websites, landing pages, product pages, and many more. There are two types of page editing: frontend editor and tree view. With the tree view, you can easily navigate through the elements available on a page and save a lot of time. One of the coolest features of the Premium version is the header, footer, and sidebar editor, as well as the access to a huge selection of add-ons that you can get from the Visual Composer’s dedicated Hub or from the independent developers. How is Visual Composer Website Builder different from WP Bakery? Visual Composer Website Builder and WP Bakery are two completely different products. 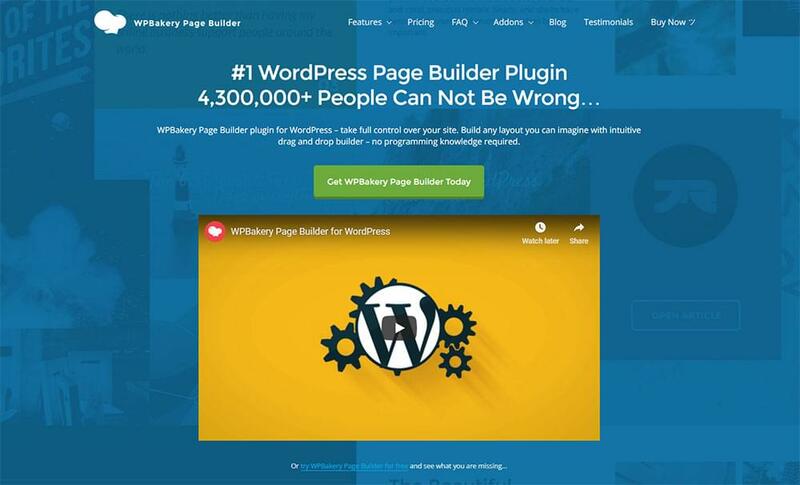 WP Bakery is only for the content part, while Visual Composer Website Builder allows you to build a complete website (with Headers and Footers). Visual Composer Website Builder was built from scratch with React.Js and it doesn’t use any of the WordPress shortcodes which helps to achieve better performance. WP Bakery, on the other hand, is shortcode based. Why is that an important difference? First of all, Visual Composer Website Builder allows you to generate clean code and it doesn’t get messy if you disable the plugin (like it happens with shortcode-based plugins). Visual Composer Website Builder comes with a cloud-based Hub where you can download the elements you need – and avoid downloading unnecessary assets. If you want to read more about the differences between these two products, click right here. If you have any questions, please, leave a comment and we will do our best to answer all of them as soon as possible. Thank you for reading this brain-twisting story of ours. We really appreciate it!